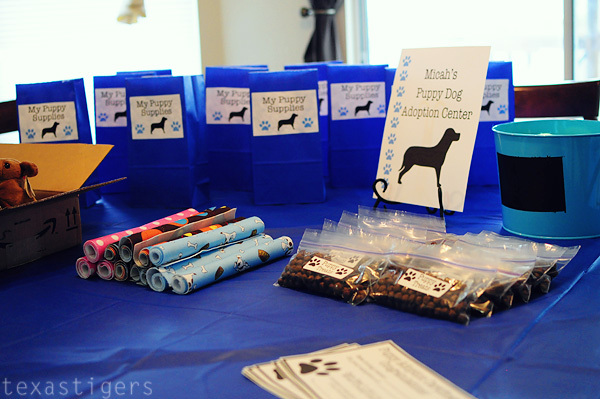 This morning we had Micah's birthday party! If you couldn't tell from the invites - it was a puppy theme! 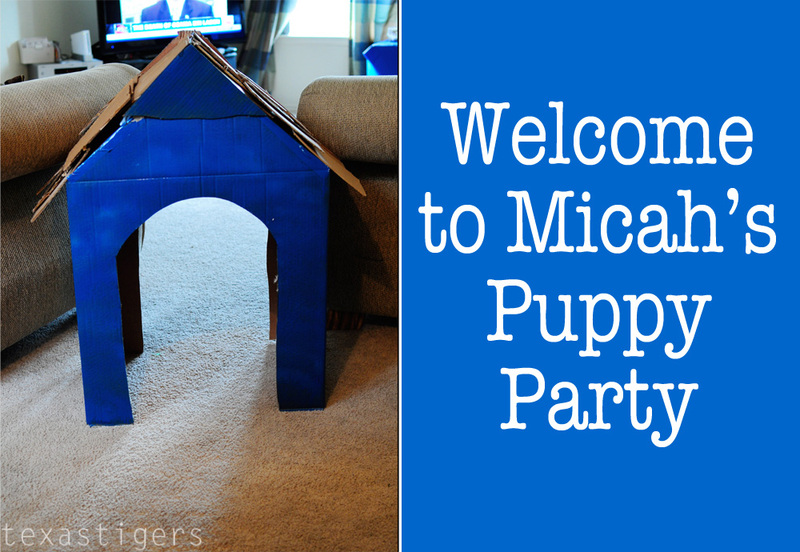 Micah loves dogs and I couldn't think of a more perfect theme for his 2nd birthday party than puppies! 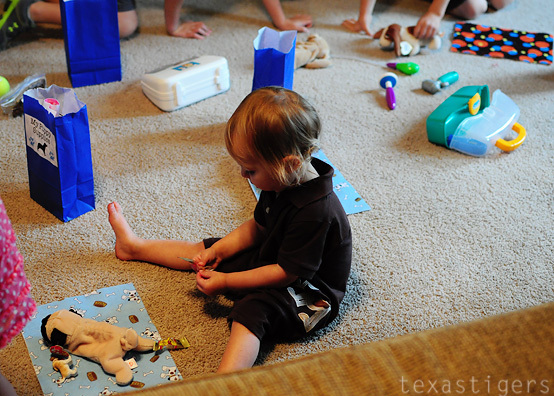 When our friends arrived all the kids were invited in to come to the adoption center. 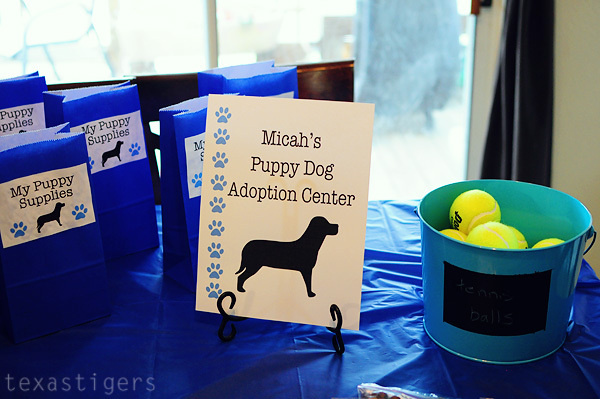 Where they were able to pick out a puppy to adopt. 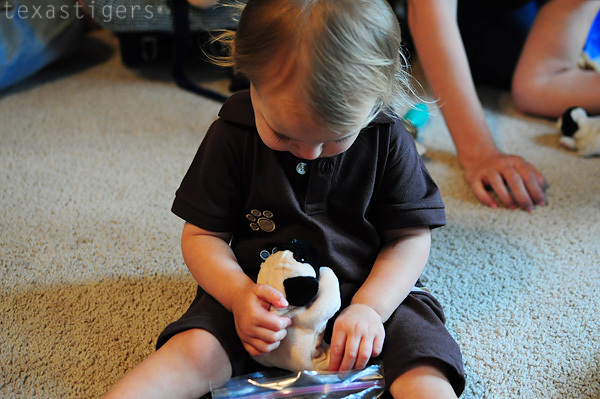 Then they were able to name their puppies and fill out an adoption certificate for them. 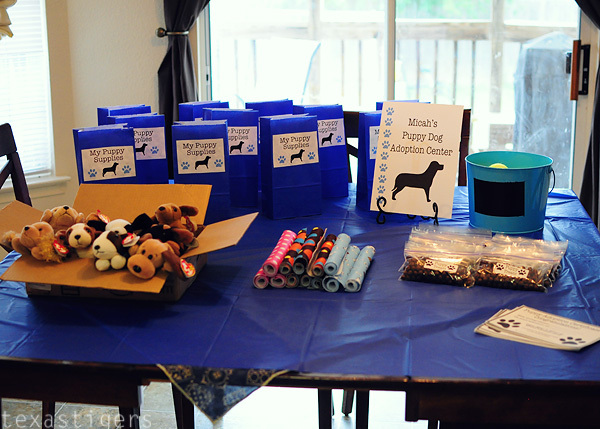 Then because all puppies have needs they were able to pick a bed, a bag of puppy treats, and a tennis ball for their puppy. 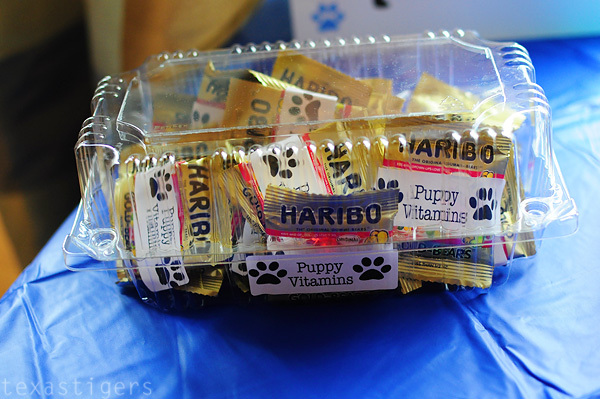 The vet of course had some vitamins for their puppies to keep them healthy and help them grow. 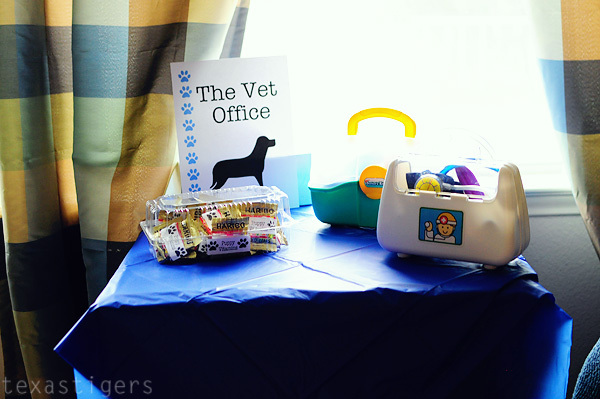 Everyone had fun playing with their puppies, checking them out with the dr. kits, laying out their puppy beds and giving them their vitamins and treats. Then everyone got to play outside, we grilled hot dogs and cooked mini-corndogs. (As well as sausage for those that don't like the previous items - aka me!) We also had fruit, chips and Scooby snacks with lunch. Then it was time for cake & cookies. 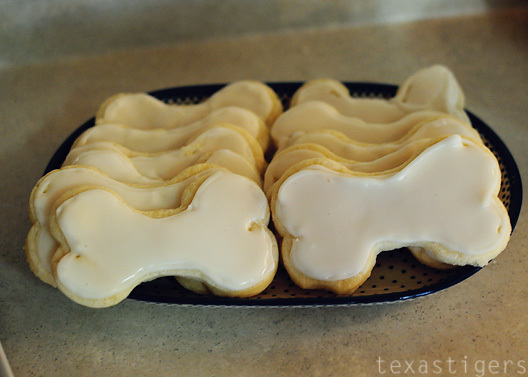 Pawprint cupcakes & bone cookies! Happy birthday my sweet Micah! I think he had a great time at his party! * Many (okay most!) ideas came from the Crafty Chicks - you can see all my "pinned" inspiration for the party and the sources they came from here. That is so fun!!! Great idea! Love the pictures. 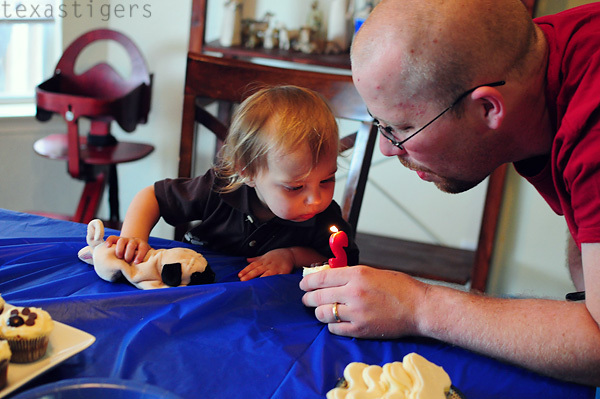 Where is the one of him blowing out a candle? Love love love this!! Such a cute idea! So...fun!!! 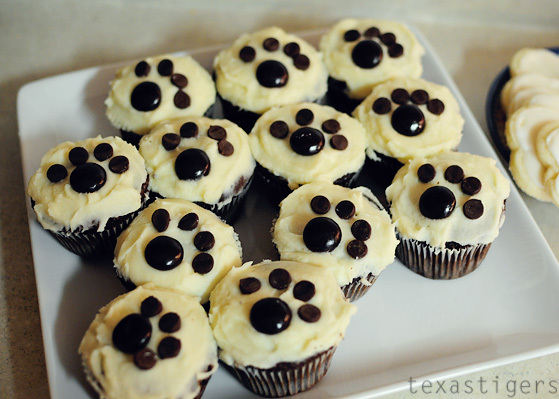 Can I ask what you used to make the paw prints on the cupcakes?